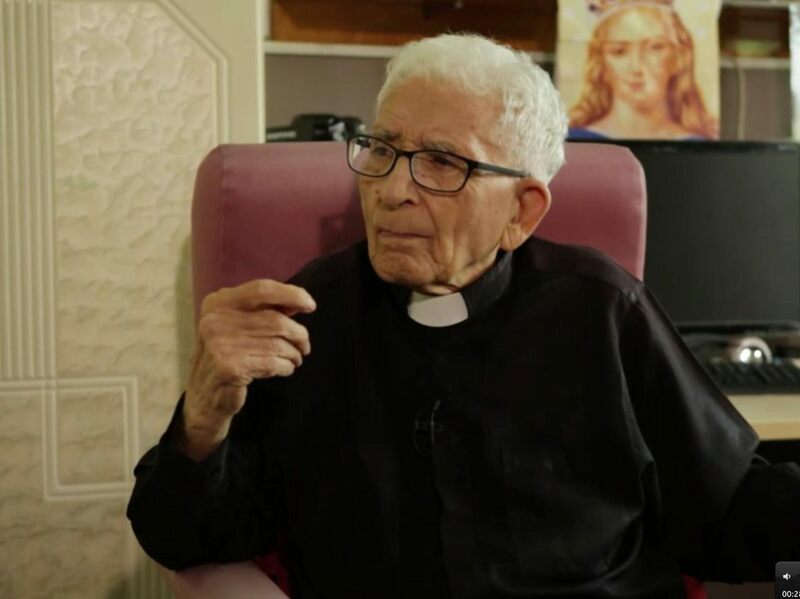 ASIA NEWS REPORT: The Salesian priest died on November 6 in Hong Kong at 102 years of age. He lived for 48 years in a village of Coloane with a hundred lepers. He offered them care, dignity and Christian faith. A friend of Fr. Allegra and other missionaries, he inspired commitment to leprosy treatment in China. A life given to the Lord for the poor. Hong Kong (AsiaNews) - Father Gaetano Nicosia, a much loved Salesian missionary, died last November 6 in Hong Kong. He was 102 years old. In the late morning of that day, Fr. Gaetano, who was still lucid, asked a Little Sister of the Poor, with whom he was staying, to seek a priest for the anointment of the sick. He understood that his time had come. The confreres came to his bedside and Cardinal Joseph Zen celebrated Holy Mass, allowing Fr. Gaetano to receive his last Eucharist just before his death. He will be buried at St. Michael’s cemetery in Macau on November 14, after funeral ceremonies in the cathedral. A few years ago he was able to meet Pope Francis, brought in a wheelchair by his fellow Salesian, Card. Joseph Zen (see photo 1 and 2). Nicosia was known as the angel of the lepers, and his story reads like a Gospel passage on altruism, goodness, and imitation of Christ. All who met him, even for a few moments, were struck by his goodness, joy and sincere enthusiasm. In 2012 and 2013, in view of a book and documentary film, I conducted a long interview with Fr. Gaetano. The following quotes refer to that interview. His story moved me, and for that I want to honour him with this tribute. He had first-hand experience of the dramas of the twentieth century. Gaetano Nicosia was born in San Giovanni La Punta (Catania) on April 3, 1915. He lost his father in war when he was three years old. "My mother was 27 and she never married again. She went to Mass every morning and she dedicated herself to her two little ones. “His brother Salvatore died just a few months ago at the age of 105! Gabriele Maria Allegra, the famous Franciscan, now blessed, who translated the Bible into Chinese was also born in San Giovanni La Punta. Gaetano and Gabriele Maria were childhood friends. They met each other again as missionaries in Hong Kong and Macao. Fraternal friends for a lifetime. Fr. Nicosia arrived in Hong Kong in 1935: some of his novice companions, a few years later, laid down their lives in Chinese communist prisons. Gaetano's physical constitution was delicate and the novice master wanted to repatriate him. Gaetano entrusted himself to the superior, Carlo Braga of Valtellina: "I went to him in tears to stop my repatriation. He looked at me, listened to me, and trusted me." Braga, the "Don Bosco of China", whose cause for beatification is ongoing, was the father of generations of Salesians. In 1939 Nicosia was destined for the orphanage of Macao. Those were years of war. Thousands of refugees arrived in Macau from China and Hong Kong. People died of hunger. "In our school we had 800 students. The governor granted us some of the rice that came from Thailand every Friday. And so we saved the children's lives. " Nicosia was ordained to the priesthood in 1946 in the beautiful church of St. Joseph in Macau. He followed Bishop Michele Arduino of Shaozhou (now Shaoguan, Guangdong Province) to China. That Christian community dated back to Matteo Ricci, who lived there from 1589 to 1595. Those were years of civil war, of disorder and of danger. Nicosia was expelled in 1950, after the rise to power of the communists. He was welcomed to Hong Kong's "bridge of freedom" by Ambrose Poletti of PIME, the "Gatekeeper to China". After serving for 11 years at the Saint Louis school in Hong Kong, Nicosia was dissatisfied. He wanted a mission among the poorest, indeed with the lepers, as he had promised to Jesus as a boy. The superior wanted to send him to a leper colony in Colombia when the bishop of Macau asked the Salesians to do something for the Coloane leper colony. It was a sign of Providence for Gaetano. For 48 years, from 1963 to 2011, he lived with lepers. In 1970, 40 people were discharged. Nicosia had found them a job, but people even avoided the relatives of the former lepers. And so, rejected by their own families, many returned to the village. At the time of Nicosia's arrival only a dozen were Catholics. Nicosia brought them all to the faith, through the Salesian devotions proposed with enthusiasm and love. But above all with his life shared with them. "The City of Joy" of Coloane moved all those who visited it. Many important people, including Fr. Allegra, spent lengthy periods in the leprosy colony. The Jesuits Luis Ruiz and Lancelot Rodrigues, two famous Macau priests’ friends of lepers, inspired by Nicosia, began working in favour of lepers in China. The architect Oseo Acconci built a beautiful church dedicated to Our Lady of Sorrows. The great sculptor Francesco Messina made a splendid bronze crucifix that still dominates the front of the sacred building. For his work, Nicosia received honours from the Macau government and the president of the Italian Republic. In 2011, all inhabitants of the colony were declared cured and many returned to society as teachers, employees and professionals. The leper colony was closed and their "angel" at 96, retired to Hong Kong. In 2015, in a memorable event, Angelo Paratico and Ciriaco Offedu’s documentary film Father Nicosia, the Angel of Lepers, was presented, to raise awareness of the life of this extraordinary man. It was then presented in Taranto and in several Italian cities. The previous year, at the PIME House in Hong Kong, with the presence of the Italian consul Alessandra Schiavo and Card. John Tong, Fr. Nicosia was celebrated with great affection by many friends. His moving speech, inspired by an extraordinary faith and sympathy, remains etched in the memory of those who were present as a unique and unforgettable event.